Happy Friday and happy three day weekend….owww! Can you tell I’m excited?? Your girl needs a little break. Today’s outfit is the last outfit that I’m sharing as apart of SheIn’s back to school campaign. They have such a wide selection of styles to fit your every need and every occasion! Sponsored post, but all opinions are my own. 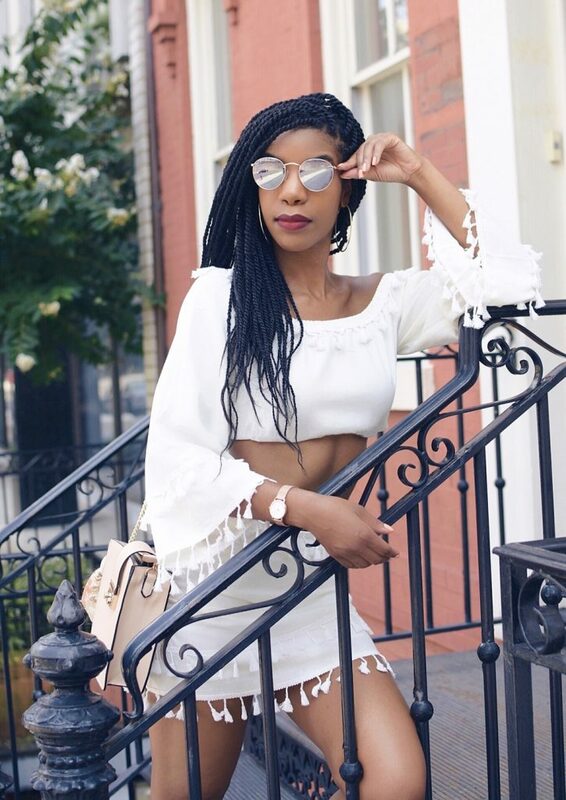 SHOP THE LOOK: Two Piece Set, available here, Use code “thestyleperk15” to save an extra 15% off your purchase! Now I know you’re probably thinking, what kind of back to school outfit is this?! It definitely has more of a vacation vibe going on. I picked it though, because it reminded me of a vacation, and I need those vibes right about now. Also, it just so happens that I’m posting this little white outfit just in time for Labor Day weekend! Even though we all should know at this point that it’s totally fine to wear white after Labor Day! I love the tassel detailing on this outfit, and I pretty much love anything white. It fits true to size, and I’m wearing an XS. The material is lightweight. While the top is a crop top, it is to supposed to be a little longer and less fitted. I made it a little shorter and more cropped, because I thought it looked a little better with the skirt. You can also wear these two pieces separately. The top at it’s regular length would look really cute with a pair of high waisted jeans, and you would only be showing a small amount of your torso. 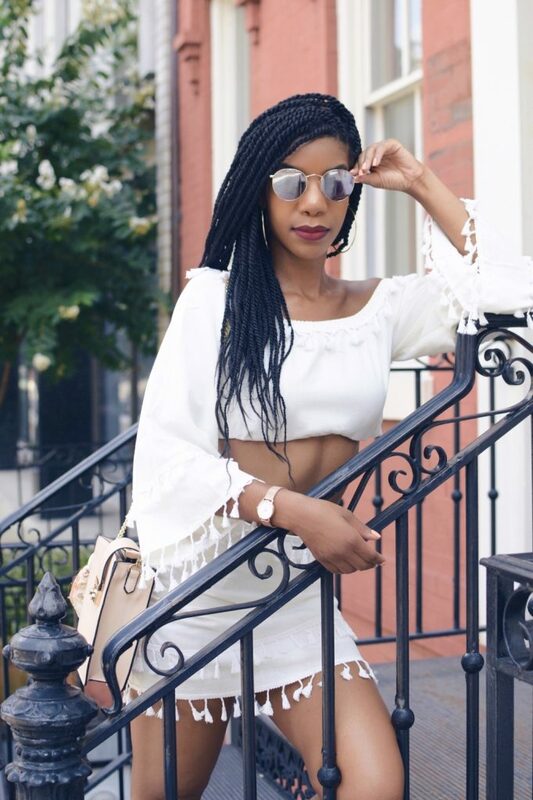 SheIn has the best overall selection of clothing for any occasion! Be sure to check them out! Thanks for reading! What are your Labor Day Weekend plans? Let me know below!